By providing an efficient small business phone system, Ooma has eradicated the stress often associated with managing business phone lines. While Ooma is also a leader in the transformation of home phone technology, their small business phone system breaks barriers and allows for true management of phone lines on a professional level. Ooma is committed to affordable, smart technology that frees consumers from expensive, outdated phone line systems. Instead, Ooma equips users with an efficient way to manage, process and receive calls, all in one place. Ooma’s services are not only economical, they are accessible and user-friendly, providing solutions to small business phone system problems.Ooma’s affordable phone system includes minimal hardware and Internet connectivity. The business phone system combines the convenience of wireless technology and portability of hardware with modern phone system features, like the Ooma office manager. 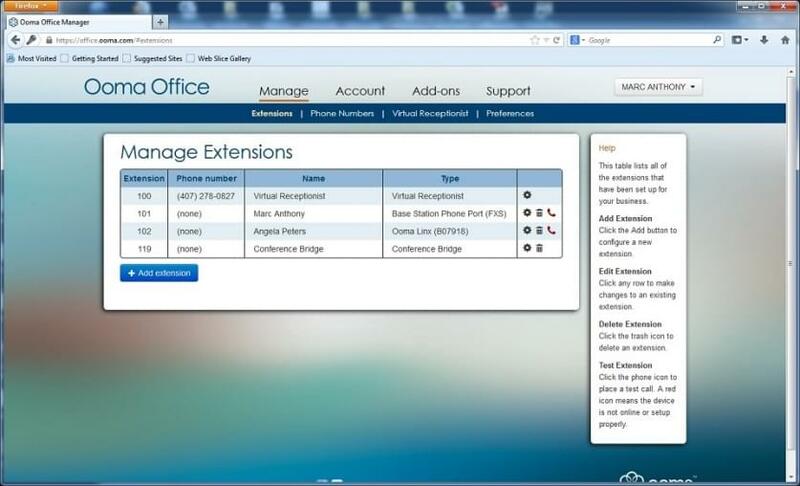 The Ooma office manager is an online management system designed to give users ultimate control over the business phone system. This online portal can be accessed from anywhere with an Internet connection, giving owners a simple way to change system settings, customize options, set up calling groups, assign extensions and more. With the office manager, wireless capability and do-it-yourself setup, Ooma’s phone system is a smart choice for businesses. Learn everything you need to know about Ooma Office. Our experts will reach out to you shortly.